In May of last year, the Ministry of Health of the Democratic Republic of the Congo (DRC) declared their ninth outbreak of Ebola virus disease, in the Equateur Province. After about a month, the World Health Organization and their global partners announced they had contained the outbreak, with 33 deaths reported. However, in August the DRC’s tenth Ebola outbreak occurred in the North Kivu and Ituri Provinces, in the eastern part of the country. As of January 30, 2019, 759 cumulative cases and 468 deaths have been reported. During this new outbreak, we have been in contact with global and local organizations fighting these outbreaks on the ground. We are honored to engage with these devoted individuals and groups, and pleased to announce a new partnership with the Global Outbreak Alert and Response Network, which will help us provide our expertise in this critical situation. Efforts to stop Ebola in the DRC face many challenges, including ethnic violence, protests, and attacks on health responders. Limited access to communities in red zones occupied by armed rebels has thwarted effective public health responses. To make matters worse, the government shut off the Internet before the elections, limiting electronic communication to radio. In addition, community fear of and resistance to health care workers has frustrated attempts to implement remedies. In an urban center, the number of contacts to trace quickly becomes unmanageable. Instead, we have found that community monitoring is a more reliable containment strategy. This includes identifying entire neighborhoods as exposed or unexposed and engaging community teams in performing door-to-door screening for early symptom detection, including fever. Staying ahead of an outbreak is absolutely crucial to preventing a wider epidemic. An effective response must limit transmission, which means detecting symptoms early. Given the global connections of our modern society, an out of control outbreak in the DRC will not limit itself to just one country, or even continent. 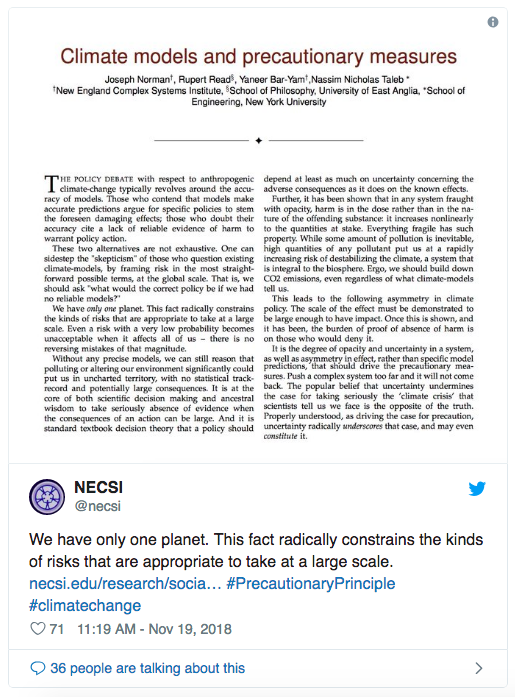 Stopping outbreaks and preventing pandemics are only one aspect of the urgent and important applications of complexity science for global problems to alleviate real human suffering. To share this concept with others, we now call this compassionate science, and it is the core of what we do at NECSI. We are excited by new opportunities for research that can make a difference in 2019, and hope you will continue to engage with us. We are grateful for your interest and support this past year, and wish you a healthy and peaceful year ahead. Our country seems more divided than ever, with election outcomes resembling a pendulum swinging with ever increasing force. This polarization occurs because small changes in public opinion can dramatically swing elections. A new study from NECSI and MIT examines the causes and consequences of this electoral instability. See the research paper. "While the threat of pain or death is an important motivation for accepting a transfer of authority, individuals may refuse to heed threats, may withstand pain, or even accept death, based upon values." A group of people communicating together to reach a decision is a very complex behavior, yet we are surrounded by examples in everyday life. In a new paper, NECSI lays the foundation for understanding group dynamics mathematically in a variety of contexts. See the research paper. NECSI's analysis determined that all landscapes, not just mountains, follow a consistent fractal scaling behavior. 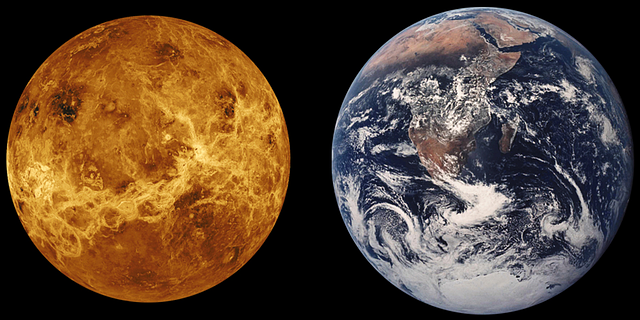 This scaling behavior holds true on Earth, as well as Venus. See the research paper. According to the Second Law of Thermodynamics, isolated systems become more disordered over time. But NECSI research shows that when systems are not isolated, they gain order. This has important implications for understanding many problems, including the fate of Anarchy and Localism as a model for social governance. See the research paper. "Here is a view from complexity science: There are two quantities that trade off against each other, complexity and scale. We can do things that are large scale and things that are more complex... Different types of exercise trade off scale and complexity." Learn what NECSI has to say about complexity and exercise. Learn how systems composed of many interconnected, complex parts can give rise to large-scale behavior that is very simple to describe. This is an important concept of multiscale thinking. Learn about the limits of logic. Despite being fundamental to science and our understanding of the world, logic is difficult to describe. Formal descriptions of truth often do not match subjective human experiences. Learn how logic can fail to describe the real world. People use generalization and inference everyday, often in subjective ways. Logic builds off prior experiences and labels inference as fallacy, but generalizations can provide a better picture of reality. Watch a video produced by the HumanCurrent on our representative democracy research. NECSI launches a mix of scientific dialogue, visionary ideas and witty repartee daily. Want to see what you missed? Follow us @NECSI. Registration is now open for our Courses in Complexity 2019 Summer Session. These two intensive week-long courses on complexity science, modeling and networks, and data analytics will be held June 2-14. You can register online. Sign up before March 8 for an early registration discount. Stuart Kauffman (Institute for Systems Biology) delivered a guest lecture on "The Shape of History" at our recently concluded Winter Session. We will soon be announcing ICCS 2020! The revival of this conference series was the highlight of our past year. In case you missed ICCS 2018, here are two of the event's dozens of world-renowned plenary speakers. Naturally, Morales took to Twitter to react: “Deeply honored to be included in the list of Innovators Under 35 - Latin America by MIT @techreview. This award is dedicated to all young Venezuelans who are out there building their future,” he tweeted. 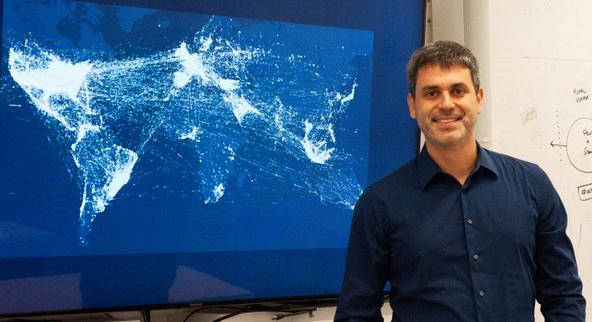 Although Morales has used social network data to study such topics as flooding and mobile phone activity; ethnic interactions in Ivory Coast; and behavior during a political protest, his study of Twitter activity and political polarization before and after the death of Venezuelan leader Hugo Chávez might hit closest to home. In the presence of a polarizer, Morales found, society divides into segregated groups. Morales’ interest in complexity science, what he terms “a life mission,” is a very personal one. That caused him to wonder about the origins of polarization and violence as well as how to plan societies in which people feel represented and not oppressed. Morales, who speaks four languages, applied his self-described “mathematical soul” to healing the world. Bridging “three disciplines that don’t generally talk to each other” Morales combines complexity science with technology to improve society at every level, he said. In recognition of our past and present contributions to containing outbreaks and preventing pandemics, NECSI has been named a Global Outbreak Alert and Response Network (GOARN) partner. Coordinated from WHO headquarters in Geneva, GOARN is a global network of more than 200 response organizations and institutions collaborating with the goal of providing rapid and effective support for public health emergencies around the world. Working with our fellow GOARN partners, we have harnessed our data analytics expertise to provide accurate information and maps of the outbreak to health care workers fighting the disease on the ground. We continue to advocate for community monitoring over contact tracing as the most effective means of stopping the Ebola virus, as was demonstrated in the West African outbreak. In a celebratory spirit of year-end accomplishments, NECSI hosted government agency personnel and contractors, representatives of non-governmental organizations and other friends of NECSI for a reception at the Four Seasons Hotel in Washington, D.C., December 5th. Throughout the evening guests mingled, reacquainting themselves with old friends or meeting new ones. NECSI President Yaneer Bar-Yam addressed the group on the importance of applying complexity science to solving global problems, such as ethnic violence and food prices, and summarized some of our latest research on economic flows and multiscale analysis of Twitter data. The inaugural gathering was quite popular with attendees, many of whom said they look forward to the next opportunity to learn about applied research and to meet other complexity science enthusiasts. Peggy J. Bowers, our new Director of Outreach and Community Relations, comes to us from the academic world where she was a professor of media and communication. 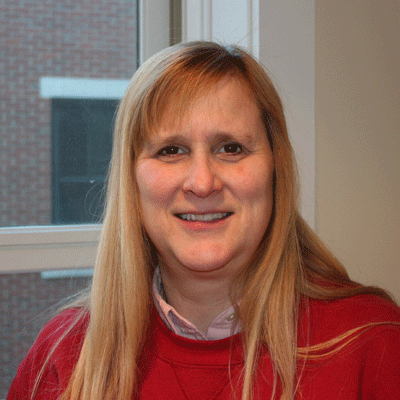 Her research focuses on media ethics primarily, but expands into media and culture and media law. Her principal roles at NECSI will include cultivating relationships with NGOs, friends of NECSI, academic communities and various traditional and non-traditional media. Peggy earned a Ph.D. in communication from Stanford University. In addition to her extensive backgrounds in science, journalism and literature, she has a real passion for humanitarian efforts and for the environment. Tom Gabriel recently joined our team as the Vice President of Development. He has a wealth of experience promoting the effective use of data. He has 11 years of experience at Dun and Bradstreet, and spent 18 years as District Manager and National Accounts Director in the Mid-Atlantic for Anheuser-Busch, working with major league sports stadiums. Not only does Tom routinely exceed sales expectations, but he is known for mentoring others on his team and developing deep client relationships. We are excited to welcome him to NECSI to build opportunities for applying our tools to wide-ranging challenges. Fun fact: Tom graduated from Northeastern University on a football scholarship! Francesca Simoni has joined us as part of the development team, where she will work on fundraising and develop NECSI interest groups locally and nationally. She holds a bachelor’s degree in statistics from Harvard. Previously she managed airline relationships for KAYAK. She was born in Peru where she lived for 11 years. Welcome, Francesca! Jonás Carmona Pirez joined us as an external Ph.D. student from the University of Barcelona. He is also a primary care physician in Barcelona. Working at the intersection of medicine, biostatistics, bioinformatics and applied physics, Jonás has focused his dissertation on multimorbidity and comorbidity patterns of chronic diseases such as COPD and heart failure. Recently his abstract was selected from among more than 200 submitted to present at the Barcelona-Boston Lung Conference, and he received a grant to attend the European Respiratory Society Congress. Ultimately he will apply his public health knowledge to a person-centered approach in his medical practice. A true Renaissance man, Jonás enjoys nature, fine arts and the "fine art of conversation."